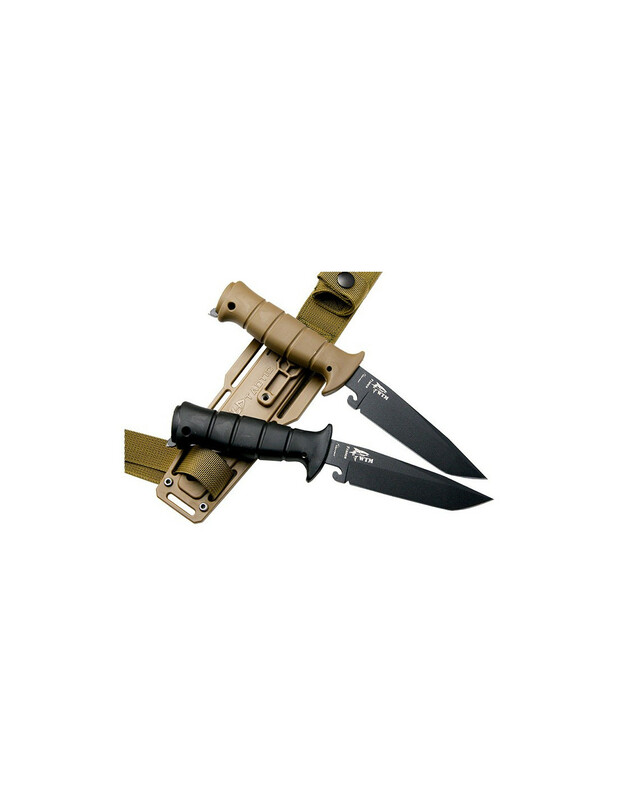 The WTM is a one piece knife designed with commando squads of marine. They wanted a strong but light knife. Upper and lower bolster and anchor point for wire-cutters. Kraton handle for easy use even with a glove. 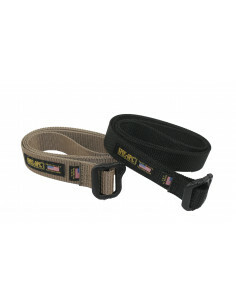 2 strap holes allow to add a safety lace. Very efficient window breaker . 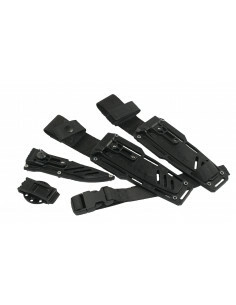 The wire-cutters designed for the Wild Tactic is compatible with WTM. More information on the page Wild Tactic. 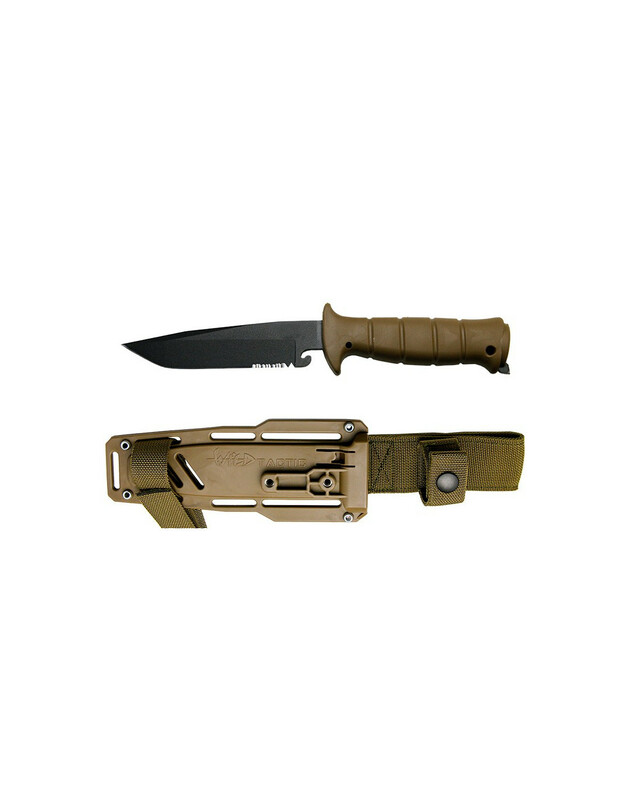 Delivered with "Spécial Forces" sheath that allows any wearing position for civil or military use and with an efficient retention system. 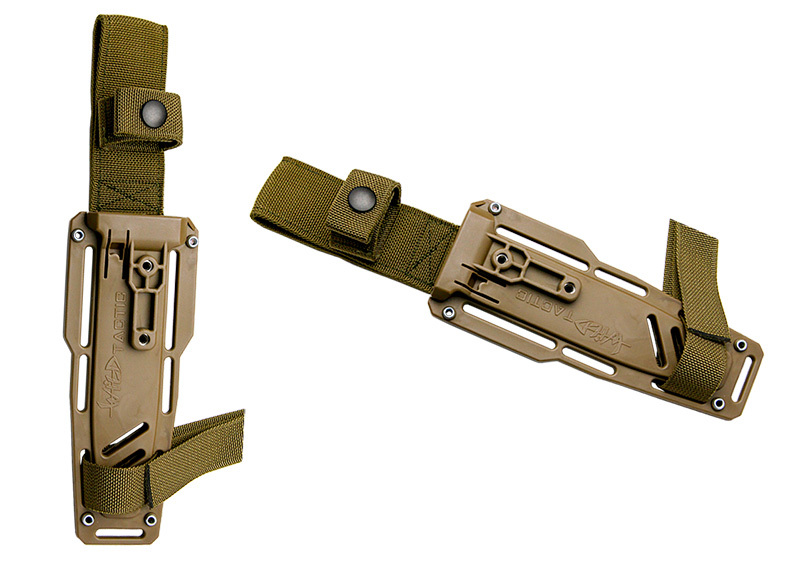 MOLLE wearing, horizontal wearing, leg wearing with some added straps see Wild Tactic for more information. 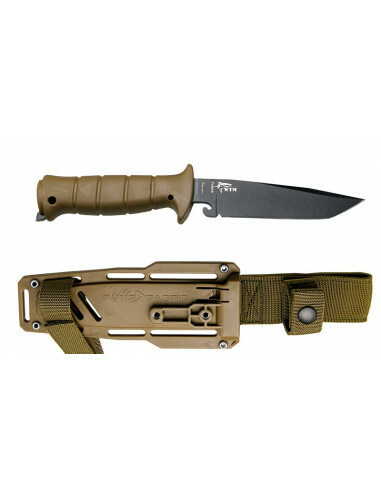 Same rigid sheath with two straps for calf wearing. 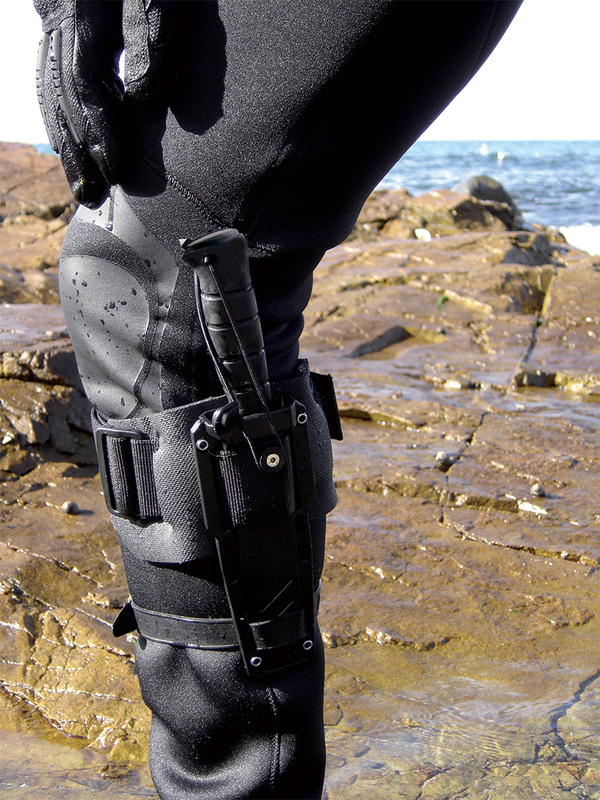 The upper one with a neopren loop reinforced with Kevlar and the lower strap in rubber to get better grip on the wet suit. 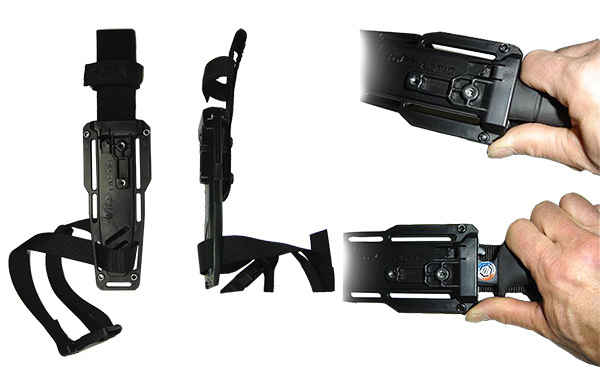 "Special Forces" sheath and its 5 versions. the pression button is replaced by Velcro. 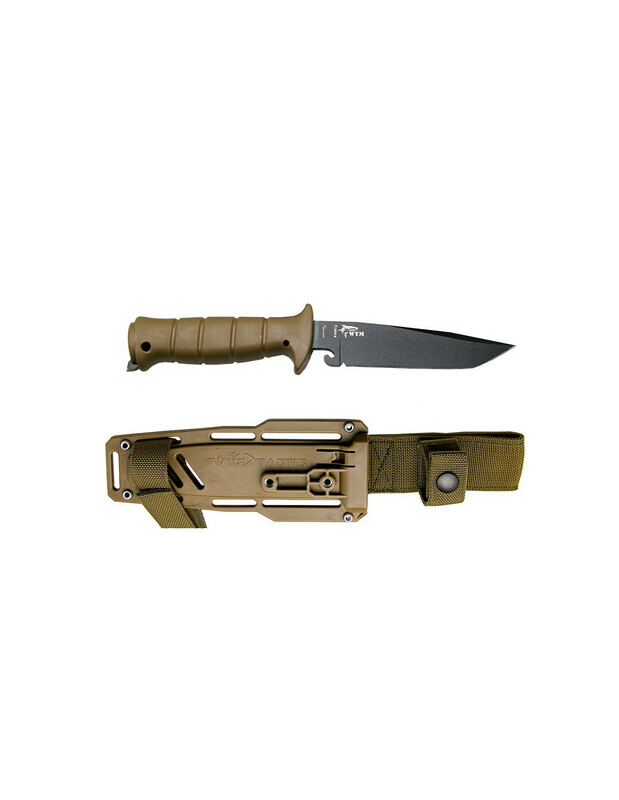 Basic SF sheath with pouch MOLLE Helico Diving. 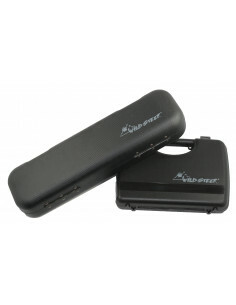 As option: A gift case. 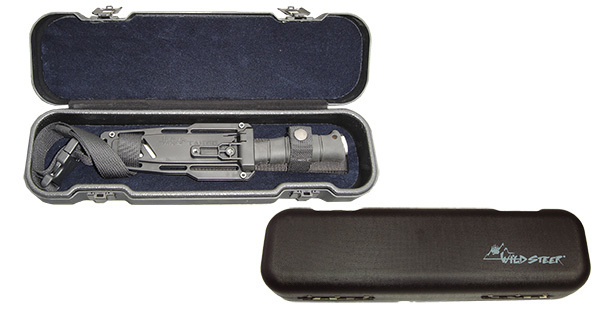 Perfect to present the knife and do a gift. As option: a luxourious case ideal giftbox. Ras pour le moment. Sa légereté surprend avec une lame tres perforante et performante. Couteau superbe !!! Comme l ensemble du catalogue. Mon 3 ième modèle , tout est TOP Vivement le 4 ième. Je met seulement 4 étoiles car je n'ai pas vraiment testé le couteau si ce n'est sur l'un des cartons d'emballage!Toutefois, la lame et la finition de l'étui respire la qualité !